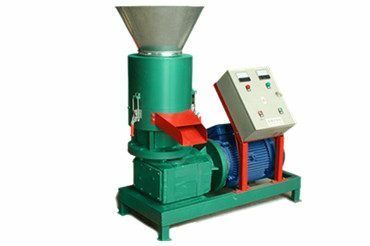 Ring die wood pellet mill is specially designed for making various biomass materials into wood pellets for industrial and commercial use. It can continuously produce wood pellet production at large scale but with low noise, low malfunction & energy consumption. As wood pellets have become a good choice of new type fuel by more and more people, a large scale production of wood pellets is urgently needed. Ring die wood pellet mill is specially designed for making various biomass materials into wood pellets. The wood pellets can be used for industrial and commercial use. They are widely used in electricity-generating and water–heating in industrial boilers and furnaces, power plants or large farms for animal bedding. We also offer small wood pellet machine for domestic biomass pellet use. 1. Our MZLH series ring die pellet mill can continuously produce wood pellet production at large scale but with low noise, low malfunction & energy consumption. 2. Imperative feeding device is matched, thus ensures continuous feeding and high working efficiency. 3. 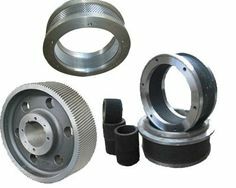 Advanced gear driving device is made of wear-resisting material and forged by vacuum furnace heating treatment. That ensures wood pelleting process stable and capacity 15% higher than belt driving. 4. 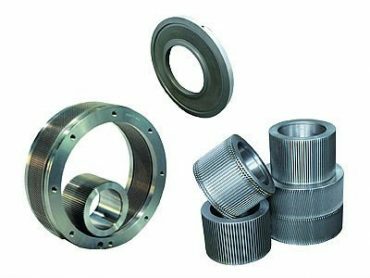 Adopt SKF bearing and NAK oil seal with more than 30,000 hours gear service life. 5. Matched with oil cooling and lubricating system which makes the machine reliable and well performanced during wood pelletizing. 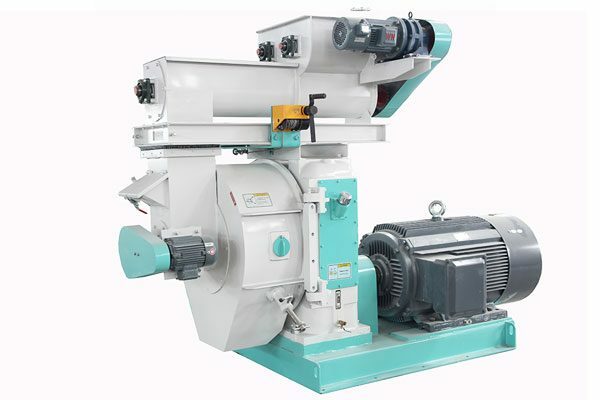 After the material is sent into feeder, the screw conditioner will mix materials evenly and then distributes the sawdust to pelletizing chamber. 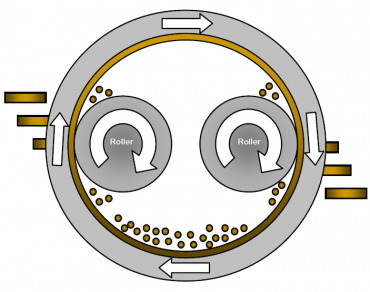 The rollers in the chamber drive the material into holes of ring die to form pellets. Meanwhile, there are several knives to cut the pellets into different size as they need. At last, the pellets will be discharged into a container ready for use. As a renewable, clean-burning and cost stable home heating alternative fuel, biomass pellets deserves highly valued as they are made from renewable substances–generally recycled wood and agricultural waste; that’s to say, pellet fuel is a way to divert millions of tons of waste from landfills and turn them into energy. We would rather choose biomass pellets than raw wood or agricultural waste for burning. Why? ♦Compared with raw materials whose moisture content is 20% to 60%, wood pellets moisture content is substantially lower about 4% to 8%. Less moisture content means higher BTU value. ♦The density of biomass pellet is substantially higher than raw biomass (40 lbs. per cubic foot verses 10-25 lbs. per cubic foot in raw material form); which ensures easy transportation and storage. 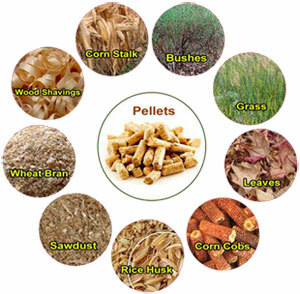 ♦Pellet fuel is renewable, environment friendly, price stable and cost effective for both domestic and commercial use. Quality Guarantee: 2 years guarantee for main body. 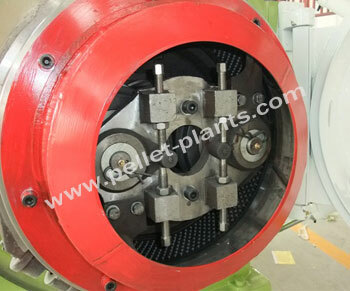 Extensive range of pellet plant ancillary machines and spare parts for your choice.